‘Storm Boy’ has grown up to be Michael Kingley, a successful retired businessman and grandfather. When Kingley starts to see images from his past that he can’t explain, he is forced to remember his long-forgotten childhood, growing up on an isolated coastline with his father. He recounts to his granddaughter the story of how, as a boy, he rescued and raised an extraordinary orphaned pelican, Mr Percival. Their remarkable adventures and very special bond has a profound effect on all their lives. Available now in selected theatres FIND TICKETS + PURCHASE. For more information about this film be sure to head to check Storm Boy out on both Facebook and Instagram. For the chance to be featured on Fan Art Friday you can download colouring pages HERE and print them out for your little one to colour and share on your social media pages using #StomBoy. 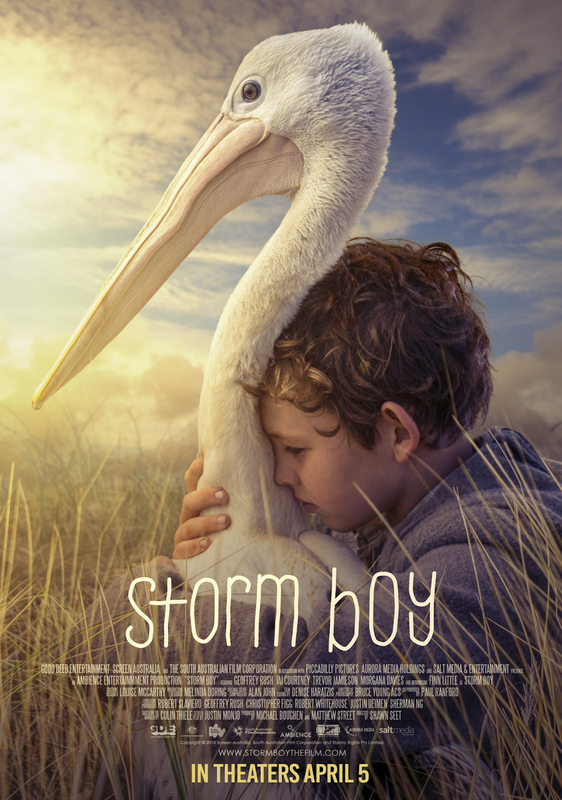 I got the opportunity to see Storm Boy and I have to tell you it was such a warm-hearted film, that had me smiling at parts of the movie and also had me crying. The movie goes back and forth from the past to the present as businessman and grandfather, Michael Kingley, is sharing his childhood story to his grand-daughter about how he once befriended a pelican who he called, Mr. Percival during a time where his father and him were still grieving the loss of his mother. The beginning starts off slow, but you're quickly wrapped into the story as we see how a friendship between a young boy and a pelican become. I love watching films that show the main character bonding with an animal. It's great to see a bonding with a young boy and something you don't see every day, a pelican. We normally see bonding movies with a dog and the main character. It's comforting to watch and my older two kids loved this movie as well. This is a great film to watch with the entire family that will leave you and your family smiling and I definitely recommend watching it. Not only did we have the opportunity to watch this movie, but we also were sent an amazing package in the mail that included our own Pelican stuffy along with adoption papers from World Animal Foundation in the name of Just Us Girls. 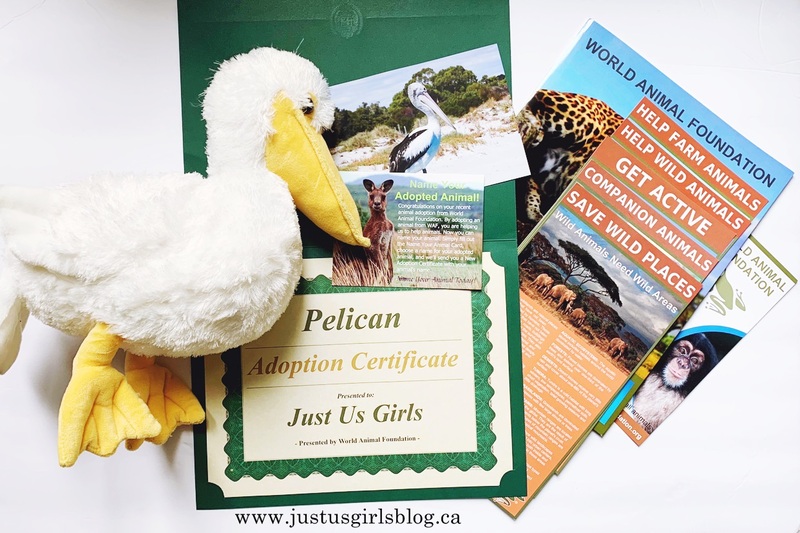 We're excited to name our Pelican and receive more information on him. Disclosure: All opinions are my own. I received ad advance screener along with the above mentioned package at no cost for the purpose of this review. No other compensation was received. Oh I just love movies like this. A tale of friendship & love. This one looks fabulous, I can't wait to see it.